What is a blogger who doesn't like attending blogger meetups!! Attending such meetups is not just very refreshing but also I get to meet my lovely fellow bloggers which is always so exciting me. 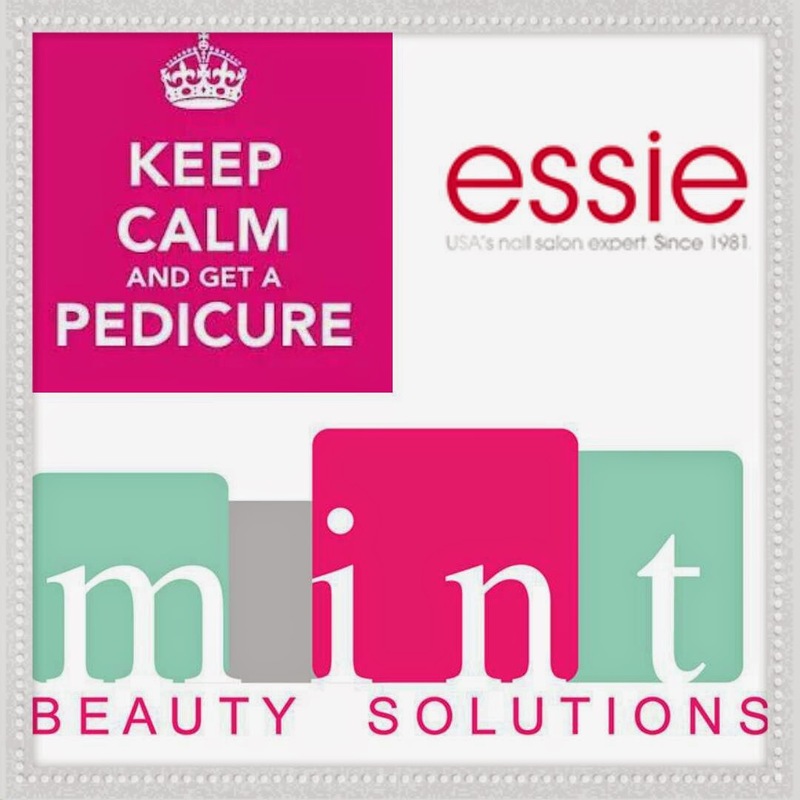 I was really oveewhelmed when i received invite from Essie Nail Polish Pakistan (Essie is a recent Launched international brand) to attend bloggers meetup at Mint Beauty Solutions. Immediately i was taken to a tastefully decorated spa room designated for menicure and pedicure. It was a really spacious room where 4 people could be given pedicure treatment simultaneously. On each work station they had 2 girls who would take care of you: one for manicure and one for pedicure. The girl doing my manicure was Maria and she was excellent at her job. I believe that in real manicure and pedicure are all about removing cuticles and dead skin because scrubbing n massaging can be done by any one. She perfectly shaepd my nails and removed cuticles. Reema attended to my pedicure. She was also very good at her job and removed cuticles and dead skin without hurting me. 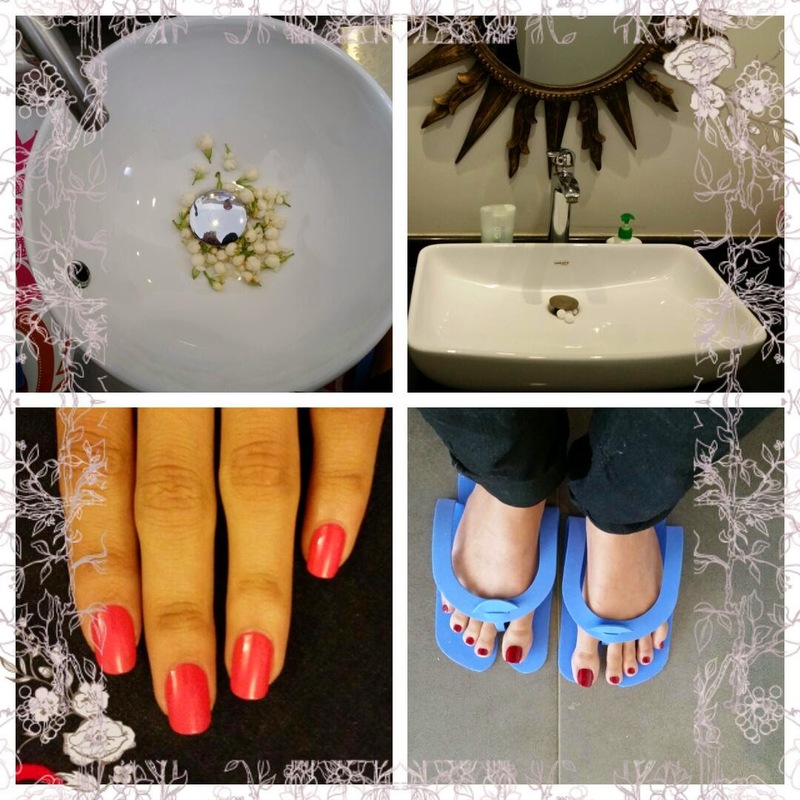 In-between the whole process we were served refreshments and tea etc.During the manicure and pedicure my hands and feet were immersed in jasmine infused warm water (yes real flowers too). To make the whole experience more mesmerising a third lady joined to give warm shoulder and head massage while the two ladies Reema and Maria were massaging my hands and scrubbing my feet. The whole process was so relaxing that any one could fall asleep. Another amazing thing was the hygiene. I really appreciate how they used new and properly sterilized tools on everyone. Every corner of the room was clean and and ambience overall was very soothing. 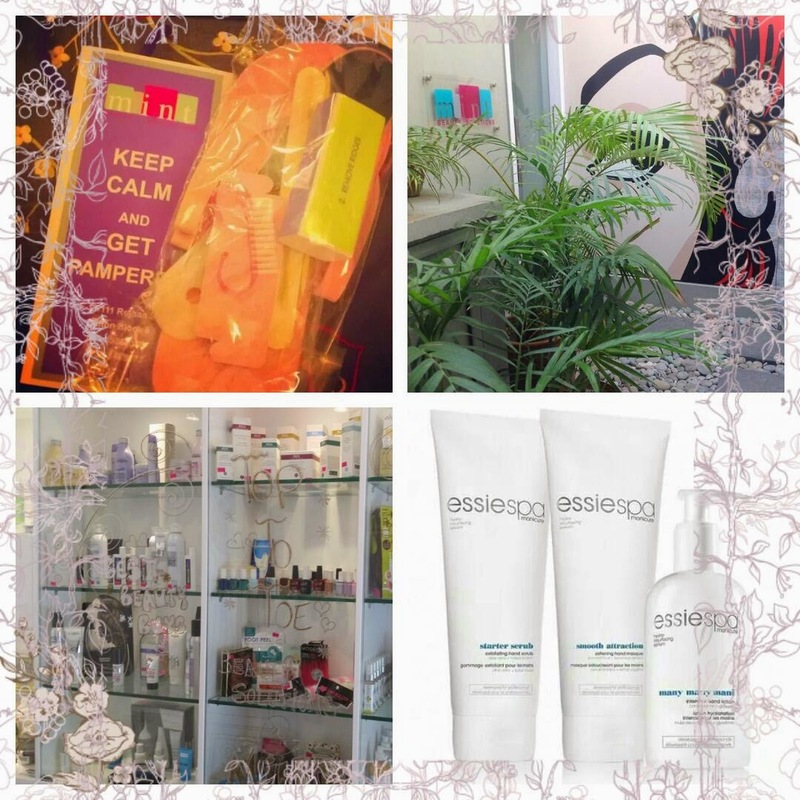 Did you like the Ambiance of this Salon ? Will you visit it ? 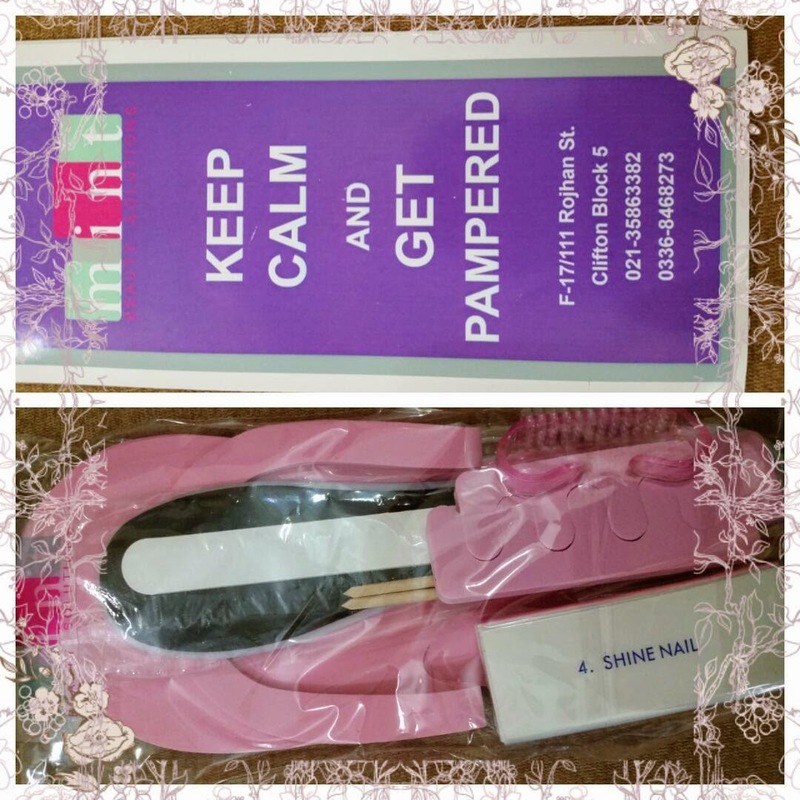 Wow.. a manicure, pedicure and shoulder massage sounds just about perfect. I love Essie and it's so nice that this was a collaboration for bloggers too. This made me want to have a spa day! Love the nail color. GiG Love. aww, that was such a great event! i hope i can attend such an event some day! and i didnt know essie has a spa line. always thought they're such a nail polish brand. 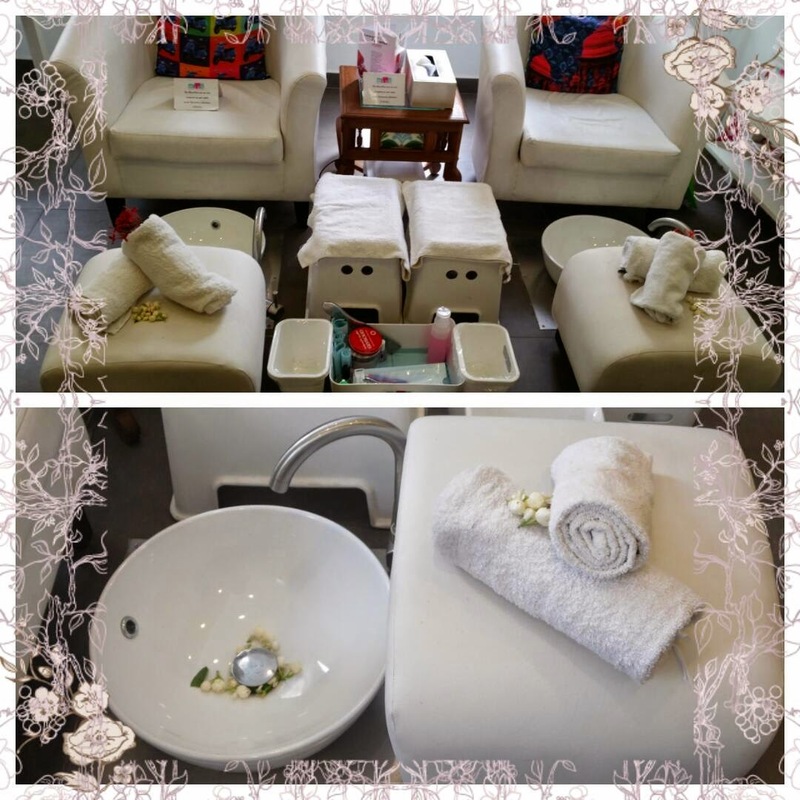 the ambience is good and cozy to pampered.. i'll visit this exclusive spa..
wow lookig hot with your red mani and pedi...i needed a spa session soon too!! Oh wow! Now that's what I call a great event to attend. Nothing beats getting pampered. The event seems fun and so relaxing. Thanks for sharing this. The sink is so cute! 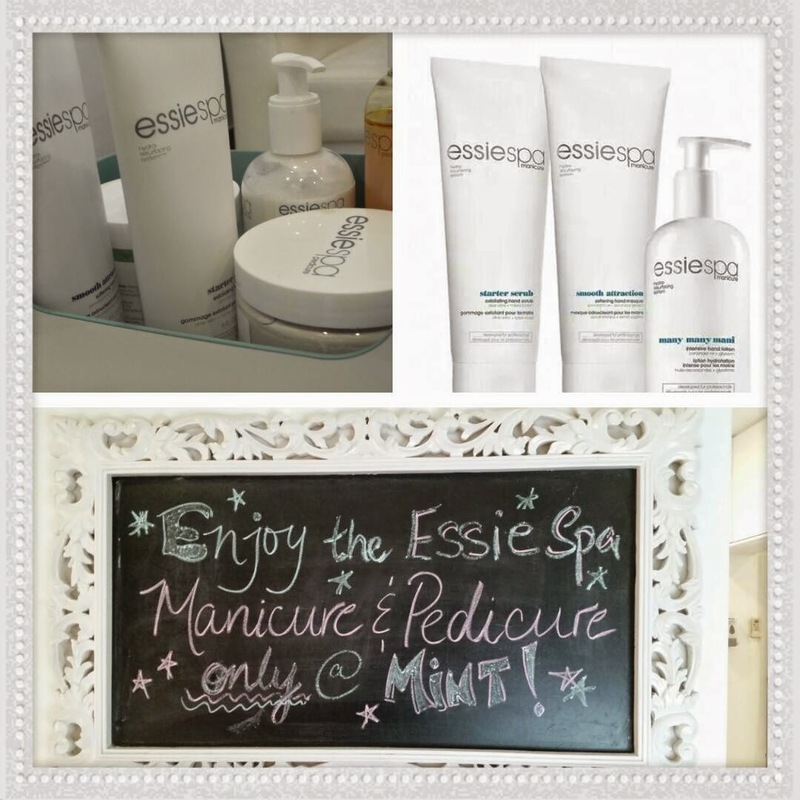 :p I didn't know essie made spa products like that! Beautiful manicure. omg the place look so relaxing and definitely the best pampering session ever!